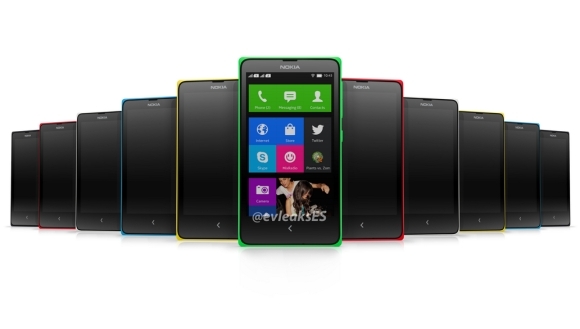 Nokia is reportedly already sending Nokia X (previously known as Normandy) units to select developers in India. The company's first Android smartphone has been tipped to launch in early April. Nokia would desparately need to win over developers if their Android phone is to succeed. Rumors so far have it that the phone is based on the Android source code but it won't have any of Google's services built in. This means there is no Play Store, so Nokia must create its own application repository. Nokia will also be substituting Google's services for its own HERE Maps location services and Microsoft's Bing, Outlook and Skype. Of course, Nokia will be developing its own app store for the Nokia X. As the rumors have it, the store is codenamed Asha on Linux (AoL) and Nokia has already negotiated most of the top 100 Play Store apps for its AoL store. Apparently Nokia is creating a smarter and more capable version of its Asha smartphones, based on Android. It is also trying to keep the Nokia X price as low as possible. The latest rumors suggest the Nokia X will cost about INR 6,500 or €80 and will be released around the IPL in India in April, backed by a massive marketing campaign. In case you've missed the news, Nokia X looks a lot like the Asha 501 and packs a 4" WVGA display, a dual-core Snapdragon 200 chipset, 512MB RAM, a 5MP camera, 4GB expandable storage, dual-SIM option and a 1,500 mAh battery. Nokia has scheduled an event for the upcoming MWC in Barcelona this month and we guess the Normandy announcement is imminent.